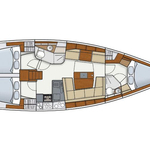 Boat Hanse 415 named take a break has been built in 2017. We offer this vessel from base Kastela in region Split. take a break is registered for 8 persons. Layout of the vessel is 8 (6+2). 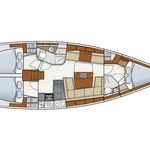 Hanse 415 take a break has 3 bedrooms. For comfort of passengers there are 2 toilettes. With engine 40 take a break can navigate really fast. take a break is 11.99 meters long and 4.17 m wide. Depth is 2.1 meters. Use our website to find other vessels following this link: Yacht charter Kastela. Sailboat's equipment consists of : Gps plotter, Autopilot, Plotter gps in cockpit, Dinghy, Teak cockpit, Bimini top, Inverter 12v-220v, Radio / cd player, Bow thruster, Mainsail with lazy jack, Self-tacking jib . . Nonrefundable caution has value 1600.00 EUR. Choose our offer and enjoy your vacation on the deck of take a break. 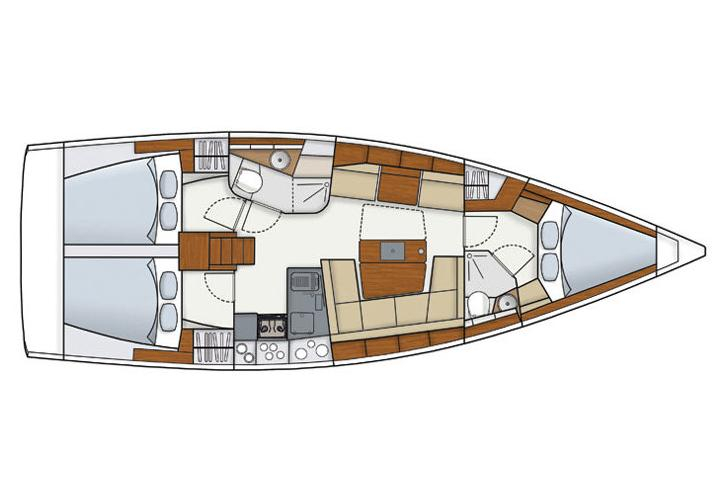 This Hanse 415 from Kastela from Croatia Use our website to find by navigating to this section: Yacht charter Croatia.